This was very interesting to talk about today. Perhaps these opportunities were designed with good intentions, but they've since been corrupted since at least for some students, it's their safety net if other things fail. For the school, it keeps their dropout numbers low (which are in turn connected to the school's state accountability rating), but the students are not better off--though there are surely some exceptions. I shared with them how it's curious that the high-stakes testing system in grades 3, 5, and 8 was devised with precisely the rationale of not fostering social promotion--that is, promoting kids up the system who are not qualified to be at that grade level. Despite this rationale, this other problem appears to persist, at least in some places; yet, to my knowledge, it seems not to have registered much attention for policy makers. They talked about how a perverse incentive is created to NOT attend class and basically acquire course credit through examination so that they can get their diplomas even if they're goofing off during the regular year. put a foot wrong on monetary or fiscal policy. but by less than 1 percent per year. gone to a much smaller, much richer group than that. probably well over $6 million a year. America pays at least lip service. marketforces. Unfortunately, that's the real story. inequality poses a threat to "democratic society." something about inequality is to abandon the 80-20 fallacy. For a 16-year-old, Iris Padilla's resume looks pretty good: Not only is she already a senior close to completing all the credits needed to graduate from Richmond High, she's president of a Latin American culture club and is active in political and religious clubs at school. Next year, Iris wants to go to college and study psychology. But Richmond High might not let her graduate this spring. That's because Iris hasn't passed the exit exam, and she has only one more chance before graduation day to tackle the two-day test, on March 21-22. Iris is one of 73,270 California high school seniors in the same pickle -- unable to fulfill a new state law requiring students to pass a test of basic English, math and algebra to graduate. That's 1 in 5 members of the state's Class of 2006, says the state Department of Education. More than half of those who still need to pass -- 40,002 students -- are like Iris: They don't speak much English. The question of whether to deny diplomas to otherwise qualified students is divisive, with passions high on both sides. Critics sued state educators earlier this month, challenging the legality of the exam, while the same state educators say they are acting in the best interests of students. Iris' English is so iffy that pronouncing the words makes her blush. When pressed, she easily identified a shrimp but was stumped by a spoon. Asked by a reporter to write something in English, Iris crafted several simple sentences, including, "I was born in the United States," and "I think that the exit exam is innecesary." But like many students in her position, she's studying hard. Her school day begins at 7:30 a.m. with an exit-exam prep class in math. Then it's on to geometry, economics, computer graphics, world history and an English-language class. She is passing them all. After school, Iris attends another prep class for the English portion of the test. Her teacher, Isadora Martinez-McCoffey, has been teaching English to newcomers in the same classroom for 30 years and has seen most of them graduate, and many go on to college. "Some have become dentists, hygienists, nurses, psychologists, teachers," said Martinez-McCoffey. But now, she fears, students like Iris will stagnate. With one month left to go before her final shot at passing the exit exam, Iris still finds an Edna St. Vincent Millay poem on the practice test impenetrable, and word problems in math as clear as Greek. Does that mean Iris should be barred from walking across the graduation stage with her classmates, or that she should receive an empty envelope when theirs contains a diploma? The exit exam has been administered for several years without a diploma penalty. Independent evaluators credit it with forcing thousands of schools to raise standards and push students to improve academically. Not every business professional sees merit in a test that may turn out thousands of diploma-less adults, year after year. "This exam is punitive," said Rene Antonio Mendieta, a San Lorenzo Realtor. "I would not have passed this test, and I got four or five 'Fs' in San Francisco State University. But I got help from tutors and professors. They took care of me, and now I'm giving back to the community." A member of the Hispanic Chamber of Commerce in Alameda County, Mendieta showed up at a news conference this month in the San Francisco law offices of Morrison & Foerster, where attorneys announced they had filed the lawsuit challenging the exit exam. Meanwhile, Iris is attending exit-exam prep classes each weekday. Recently, she sat with 14 students in Martinez-McCoffey's English test-prep class studying sample pages from the exit exam. The test asks students to write one essay and answer 72 multiple-choice questions about passages they read, and about grammar. Students who speak little English may have the test directions read to them in their home language. They may also use a hand-written glossary when taking the test, but only if there is no explanation of the English word beyond its exact translation. And they may take all day to finish. In the prep class, the students studied a three-paragraph essay about zookeepers who kept poisoning koalas by feeding them young eucalyptus leaves, which can carry a toxin. Eventually, the zookeepers learned that only older leaves were safe. Martinez-McCoffey called on a young man to read the essay aloud, which he did, stumbling over most of the words. "Very good, caballero," Martinez-McCoffey told him, calling him a gentleman. Then the class underlined unfamiliar words, and there were many: "wilds," "supply," "grove," "within," "quantities," "senses," "unknowingly," "starve," "trapped," "distinguish" and "thriving." Martinez-McCoffey asked Iris to read a question about the essay. Haltingly, as if trying on a stiff new pair of shoes, Iris read: "What is the purpose of this article?" Then she correctly identified "to inform" as the answer. But when the class turned to St. Vincent Millay's "The Courage That My Mother Had," the questions got tougher. The poem relies on the phrase "rock from New England quarried" as its primary metaphor, and one of the questions asked students to identify which poetic phrase created a tone of sadness and regret. Only four students got it right. And two of them admitted they guessed. "My heart just breaks, because many of these students have been in this country just six months or a year," Martinez-McCoffey said later, her eyes welling with tears. She said the students are bright -- one is doing well in chemistry, and others are taking college-level Spanish -- but that it can take years to learn a language well enough to pass a 10th-grade English exam. "Some have missed passing by 10 points. Some by 1 point," she said. "They're so disappointed. So hopeful." Before the end of their senior year, California public school students have six opportunities to try to pass the exit exam. Under state law, a 10th-grader can take the test one time, an 11th-grader twice and a 12th-grader three times. Students who finish 12th grade without passing the exit exam can enroll in adult school and then have two opportunities per year to take the test, as long as they are enrolled in school, according to the state Department of Education. Individual school district policies may vary on whether students enrolled in community college can take the exit exam after high school. Students are entitled to at least one year in a free class designed to tutor them after they complete 12th grade. At any time after their senior year, former students can ask the district where they attended school to let them enroll for a 13th year. If the applicant is under 18, "the district is required to serve the student in an appropriate program," according to the state Department of Education. If the applicant is older than 18, admission is at the district's discretion. Districts may permit students to move directly from grade 12 into an independent-study program to try to pass the exit exam. Students who move directly from grade 12 into a charter school (an autonomous public program) can study at the charter school until age 22 in order to pass the exit exam and earn a diploma. Some community colleges award high school diplomas through their noncredit adult-education programs and do not require students to pass the exit exam. It was very significant that this play was performed in Austin for the past three weeks because there is currently a deep and divisive battle over the much-coveted land that Mexican American east Austinites have possessed. This is land, incidentally, to which the Mexican community was relegated during the early 1900s as part of the city's strategy of containment, keeping the community away from the richer and whiter parts of the city. They did this through restrictive covenants, urban housing, and building Interstate-35 that serves as a border, separating the community of east Austin from the central areas of the city that includes downtown, the Texas state capitol and the University of Texas. Developers are encroaching on Rosita's land and they are pressuring her to sell. They treat this as if it were a pure business arrangement yet because they are in cahoots with the city officials, they will rely on imminent domain if they have to in order to force her off of her land. Many feel that the fight is lost and they sell. This saddens and troubles Rosita deeply. A lot of mythmaking unfolds in the community. She is told that she can sell at three times the value of her property and she can make good in a condo in the white suburbs. The lure of white, middle-class, suburban life tempts her just as it has so many other business owners who took the bait and left for a distant, culture-erasing dream. Rosita is very intuitive though and she questions whether living with the gavachos (white people) is really all that it's cut out to be. She goes to bed very worried and she has a dream. She dreams that she goes to heaven and everything's white. She's really concerned about what the kitchen looks like and so she enters the kitchen and finds out that the everything is white, including the stove which is also electric. On earth, she despised electric stoves because they turned tortillas into Frisbees. Anyway, Rosita checks out the refrigerator and she sees infinite bottles of milk on one shelf. On another shelf is mayonnaise. On the third shelf is cauliflower. She has a panic attack because cannot find the chile jalapeño, mole or any ingredients to make her classic enchiladas. She's distressed and she shares her concerns with St. Peter who basically tells her that such things don't exist in Heaven and that she really shouldn’t mind because heaven's really nice anyway. Rosita wonders how she ever got into such a place. St. Peter tells her because of affirmative action and the admission of a few token Mexicans (in so many words). This turns out to be a total nightmare because Rosita realizes that there are no jalapenos in heaven. How could this have been over-looked? In a similar way, she comes to the realization that the glimmering lights of the suburb and someone else's definition of what the good life means is not her view of heaven at all. To leave Sal Si Puedes would come at incredible psyschic cost. She would lose her contact with her community; she would no longer have a community to cook for; and she would enter the alienating world of the Anglo that is devoid of jalapenos, mole, and menudo. She concludes that if this is heaven, she prefers to live in her Sal Si Puedes. She ends up confronting the developer who comes a final time to her business with a magnificent deal-to buy her land at four times its cost. Rosita shreds his contract and gives it to him. Rosita decides to stay and fight for her land and for a way of life that can neither be purchased nor sold. The power of this play is that it extends understanding and empathy to the notion of gentrification. Through narrative (theatre) it reveals that which cannot be commodified-one's soul and one's culture. It also provides an edifying view of poor communities that live lives filled with struggle and hope. I urge others in Austin to see this play. The acting was excellent and the narrative and humor were awesome. They're performing through the weekend. Tickets are $15.00 and students get a discount at $12.00. Call 474-8497. Let's NOT teach to the test. Mathews doesn't see what teachers mean when they complain that they are being forced to teach to the test. In all fairness, neither do most teachers reference larger systemic issues related to not testing, per se, but the system of testing born out of state and federal education policy. I give credit to Linda McNeil, Professor of Education from Rice University who was the first to make note of the astounding similarities between Enron and our state’s accountability system. Specifically, she addresses the 'double-ledger' accountability model whereby gains in students’ test scores are recorded on one ledger, and all the children and teachers that we are losing are recorded on another, hidden ledger--as if the two have nothing common--though in reality, they are intimately connected. She addresses this powerfully in her chapter, "Faking Equity" which appears in my edited volume titled, Leaving Children Behind: How Texas-Style Accountability Fails Latino Youth. The point here is that inordinate weight is attached to a single indicator. Hence, it is hardly far-fetched-as Mathews would like his readership to believe-that this results in a narrowing of curriculum and the pushing out of children from the schooling system as alluded to above. Why? Because combining both the assessment of the children with the monitoring of the adults in the system (teachers and principals) via test scores-two distinct functions in one-corrupts the assessment. I also want to challenge another view that Mathews has, namely, that teaching to the test and a focus on test prep are aberrant behaviors limited to only a thin slice of deviant teachers nationwide. In response, I draw here from a published piece of mine (with co-author Nathalia Jaramillo) that appears in a UCLA on-line journal called, INTERACTIONS. You may download the whole artticle if you wish here. First of all, teaching to the test can be a very caring response to children. Why? You, the teacher, want job security; and this, too, is typically of immense concern and interest to the children as well. A context of turnstile teachers and principles is of no benefit to anyone. However reduced or narrowed the state curricula, you want your children to learn and progress to the next grade level. And you may especially want to do so when such resources as a print-rich curriculum and certified teachers are in short supply. Why should children be held back when one, the test is the obvious ticket and two, the resources that correlate to the outcome are in short supply? Particularly in under-resourced schools where teachers often lack experience and where children are "chancy," teaching to the test and even testing to the test (where district- and teacher-made tests mirror standardized tests) become acts of survival. I'm not condoning any of this. I'm simply highlighting the perverse logic that has been set into play by the current accountability framework. Let me give you an example of this. And I have permission from my daughter's previous fourth-grade teacher to share this. Now, my daughter is in a very good public elementary school that serves upper middle-class families in southwest Austin. Her fourth-grade teacher is a very experienced, seasoned professional who imparts her craft, albeit with extraordinary effort, in the face of numerous state and district mandates. The year that my daughter was in her class, she kept meticulous notes on how much time she dedicated to test preparation, administering the test, and reviewing the results of the test. Test preparation involved a slew of not only state- but also district-mandated exams. She calculated dedicating upwards of 90 hours of what otherwise would have gone toward instructional time into testing. She further claimed that to have done otherwise would have been an injustice to the children in her classroom. She indicated that a lot of unfortunate exam errors track back to children's lack of familiarity with test formats and that the children's minds, bodies, and fingers have to be disciplined in order for them to complete the physical aspects involving technical know-how of the task. My daughter's teacher didn't rob her students of curricula, however. She imparted her vast subject-matter knowledge by providing students with daily after-school enrichment opportunities that most of the children took advantage of, effectively extending the school day another hour-and-a-half. While her efforts are praiseworthy, no reasonable parent or school official can expect this level of commitment from any member of their staff-especially without paying for it. There are clear instances, you bet, when dumbing down the curriculum is a clear violation of professional ethics. On the whole, however, I would say that we are in a particular historical moment in education and this behavior that Mathews sees as aberrant is really symptomatic of larger factors that track back to existing inequalities and a flawed systemic design. All signs point to 2006 being a crucial year for testing in America, with the first national results from the new SAT due, as well as significant changes underway in how states use the tests that rate schools under the No Child Left Behind law. If only, then, we could figure out a way to speak clearly to each other about what we think of the many tests our children are taking. Let's start by trying to clarify what I consider the most deceptive phrase in education today: "teaching to the test." Teaching to the test, you may have heard, is bad, very bad. I got 59.2 million hits when I did a Google search for the phrase, and most of what I read was unfriendly. Teaching to the test made children sick, one article said. Others said it rendered test scores meaningless or had a dumbing effect on instruction. All of that confused me, since in 23 years of visiting classrooms I have yet to see any teacher preparing kids for exams in ways that were not careful, sensible and likely to produce more learning. There are, of course, ways to teach to the test that are bad for kids and that occur now and then in schools. Principals afraid that their scores would look bad have forced teachers to go over the same questions from old tests day after day, to prepare for some state assessment. But there is no evidence that this happens often. Strong teachers usually raise a ruckus, administrators back down and everybody goes back to the traditional lesson reviews that all good teachers use. The marquee for Johnston High School in East Austin welcomes students every day. Johnston is part of a national trend in school re-segregation that came with the end of court-ordered desegregation efforts. On the far-east side of Austin, past graffiti-decked buildings and rows of little houses sits Johnston High School. The sign in front of the school reads: "Johnston High School 'The pride of the East Side.'" In the '90s, when Johnston was home to the Liberal Arts Academy, a magnet program, it was a top school in Austin. But in recent years it has rapidly declined, said Scott Lipton, academy administrator. Instability in the administration and the flight of top students to other schools have left Johnston in a state of crisis. Johnston is an example of the increasing racial division in Austin schools that has escalated in the past five years. A high concentration of poverty and the resulting effects on student achievement, such as lower scores on standardized tests, continue to plague Johnston and other Austin schools. The Austin Independent School District Board of Trustees abandoned forced busing - a way of integrating schools by busing students from predominantly white schools to predominantly black and Hispanic ones - in 2000. It was replaced by neighborhood school assignment with an optional school transfer system. Schools had begun to slip into patterns of racial isolation mirroring the east-west residential divide by 2003. Austin ISD is part of a nationwide trend of school re-segregation caused by the dismantling of court-ordered desegregation plans. Re-segregation is most visible in the southern U.S., said Gary Orfield, director of the Harvard University's Civil Rights Project. The district is the 10th-most segregated of the South's 100 largest school districts, according to a 2005 Duke University study. When busing was terminated in 2000, Johnston had a white enrollment of 15 percent - almost equal to black enrollment. By 2003, white enrollment dropped to 2 percent, according to the Texas Education Agency. Other schools in the district had similar patterns. Approximately 80 percent of white high school students in Austin attend schools that are majority white, according to TEA statistics. "The most segregated and most isolated are white students," said UT educational psychology professor Richard Valencia. A 1983 5th U.S. Circuit Court of Appeals decision classified the district as "unitary," meaning it had removed all remaining vestiges of state-mandated segregation and was now free from federal intervention, such as busing mandates. This decision allowed the district to end forced busing to elementary schools in 1987. With the end of busing and the slide into re-segregation, Austin schools are returning to a state of inequality, said Texas NAACP President Gary Bledsoe in a written statement. "Schools on the East Side are not treated properly across the board," Bledsoe said. "They generally have inferior physical plants [and] high-tech equipment. Bond issues or budgets are generally not designed to meet very many of their needs." School re-segregation is directly related to poor school performance, Valencia said. In the same year that white enrollment fell to less than 2 percent at Johnston, the percentage of students who passed standardized tests fell from 60 percent to 20 percent, according to the TEA. After Johnston sent out notification of its failing status in 2003, many students transferred to other schools. Under No Child Left Behind, a federal program created to improve public education, districts are required to pay for transferring students out of failing schools. More than 200 students had transferred from Johnston by the 2005-2006 school year, according to the district. It was in jeopardy of losing its 4A status, which allows it to compete with other larger high schools in UIL activities, such as football and band. "No one ever transfers to Johnston," said Shannon Cardona, a special education teacher at Johnston. "They get sent back." High minority enrollment often correlates with high concentrations of students below the poverty line, said Orfield, the author of reports on inequality in education. Poor students often score low on standardized tests, Orfield added. The high-poverty schools often have less experienced teachers, lower levels of peer group competition and less challenging curriculums, he said. Between 75 percent and 80 percent of students at Austin's most racially isolated high schools - Reagan, Travis, Lanier and Johnston - are considered economically disadvantaged, according to TEA statistics. "One of the common misconceptions over the issue of re-segregation of schools is that many people treat it as simply a change in the skin color of the students in a school," Orfield said. "If skin color were not systematically linked to other forms of inequality, it would, of course, be of little significance for educational policy." High-poverty schools carry a stigma that often turns away more experienced teachers, Valencia said. "There's a major stereotype that to teach in a minority school is a challenge," Valencia said. In Austin schools that are mostly nonwhite, the average teacher has taught for around 10 years - five fewer than those at mostly white schools, according to TEA statistics. But Cardona, who has taught for 12 years, five at Johnston, said she was not intimidated by the prospect of teaching at a high-poverty school. "Teachers are not banging down the doors to teach at Johnston," Cardona said. "But the ones that do ... we know what we're getting ourselves into." Liz Brown, who started teaching after Johnston was labeled failing by TEA a year ago, said she was at Johnston by choice. "Starting off at a school that is blue ribbon and recognized doesn't mean anything at all," Brown said. "I want to make a difference." Teachers and administrators at Johnston often have to act as surrogate families for students, Brown said. "I'm more of a motivator than I am a math teacher," she said. "They've been pushed down for so long for so many years that by the time we get them at the ninth-grade level, their ability level is not where it should be in any area. They're shoved through the system." Students at Johnston have a strong feeling of inferiority because of the school they attend, she said. "If you ask students, they'll say Johnston's a bad school, that we're 'ghetto,'" Brown said. Schools with large percentages of poor students also tend to lack social networks, such as parent-teacher associations, that more affluent white schools have, Valencia said. Parents at more affluent schools wield greater social and political power, which enables them to hold schools more accountable, said Tim Eubanks, lead community organizer with Austin Voices for Education and Youth, an organization which works with schools in the district..
"Parental involvement also occurs in minority schools, but the social capital is not there," Valencia said. "They express it differently." Unlike many other school districts that have a strong racial divide, there are few disparities in spending across Austin ISD. Schools with a high concentration of poverty often incur extra expenses, such as language services and special education costs, Orfield said. Some schools, such as Johnston, run day-care centers for student mothers. Schools are not only becoming segregated by race and ethnicity but also by language, Orfield said. 20 percent to 30 percent of students have limited English skills at Austin's four most racially isolated high schools. Johnston is restructuring with help from a state grant. The school will break up into three academies dedicated to different areas of study. Administrators hope this plan, modeled on successful experiments in underachieving urban schools in New York and Boston, will pull Johnston out of its slump. "We want to bring Johnston back, revitalize it and make it a source of pride for this neighborhood," Lipton said. SACRAMENTO - A moderate salary raise for a new teacher boosts the chances they'll stay in the profession, but mentoring programs and training are even more effective, according to a report to be released today. Providing just $4,400 more in annual pay increases the chances an elementary teacher would stay by 17 percent, according to the report by the Public Policy Institute of California. Teachers who were part of the state's Beginning Teacher Support and Assessment program were 26 percent more likely to stay in teaching, according to the study, "Retention of New Teachers in California." The program costs the state about $3,370 per teacher. The Commission on Teacher Credentialing, which co-sponsors the beginning teacher program, has found similar results, said its director, Mike McKibbon. "It makes an enormous difference in setting up the first two years as place to learn and grow and get better, rather than the way we used to do it, which was kind of a rite of passage," McKibbon said. Still, money plays a role. The report said teachers in better-paid districts were less likely to leave their jobs or transfer to another district. The policy institute said nearly a quarter of new hires in California leave the profession within five years, a rate that will make it even harder to fill an anticipated teacher shortage of 100,000 in the next decade. Unless the state does something to lessen the departures, about one-fourth of new hires will simply be replacing other recently hired teachers who have left public schools. That will leave fewer experienced, highly qualified teachers, the report says. The report's authors used data that tracked teachers who earned their California teaching certification during the 1990s. The support program for beginning teachers received about $88 million in state funding this year and has been supported by Democrats and Republicans, McKibbon said. "To their credit, they've seen beginning teachers as a place for investment," he said. Other programs to integrate teachers also have shown promise, such as internships in hard-to-staff schools and a program that moves teachers' aides into programs where they can earn a teaching credential. That program has about 2,500 students this year, McKibbon said. Sen. Jack Scott, D-Altadena, chairman of the Senate Education Committee, said he was not surprised that the study found mentoring and tutoring programs to be effective. "I'm convinced that teachers generally are not in the profession for money, and I think the more strengthening we can do, the more mentoring from seasoned teachers, the better," Scott said. Earlier this month, State Superintendent of Public Instruction Jack O'Connell said he will sponsor legislation to spend $53 million for teacher coaches in the state's lowest-performing schools. He also encouraged financial incentives to recruit teachers to work in those schools and said the state should reopen teacher-recruitment centers that were closed during budget cuts several years ago. © 2006 ContraCostaTimes.com and wire service sources. All Rights Reserved. There is nothing on the outside of George Mitchell School, in east London, to show that it is anything but the usual kind of old London secondary school, built to last but badly in need of a coat of paint. Inside, however, education is being rapidly propelled into the 21st century, and the people who are doing it are the pupils. At George Mitchell, pupils have been given "ownership" of their schooling. They observe and criticise lessons, make suggestions to teachers about how they could teach better, and interview candidates for teaching posts. The scheme has gone so well that the school is now giving students even more responsibility by abandoning traditional homework in favour of optional out-of-class work which students can decide whether they will do or not. "There is a lot of lip service given to the idea of student involvement in education," says head teacher Helen Jeffery, "but I had never seen pupils given an honest say. We wanted our students to have this. "And the feedback we've had from them has been amazing. My experience with children told me they would rise to the occasion and there has not been one single instance where children have behaved maliciously or malevolently." George Mitchell is an 11-to-16 school serving a multi-ethnic community in a poor part of Leyton, east London. Sixty-nine per cent of pupils don't speak English at home, and nearly half are on free school meals. The idea for student involvement started two years ago when Helen Jeffery came in to take over what was then an ailing school and appointed a go-ahead young assistant head, Matthew Savage, who immediately involved students in making the classes in his English department better. The pupils observed teachers at work, attended departmental meetings and advised on seating, displays and how lessons could be made more interesting. Now the scheme has spread throughout the school, with nearly a quarter of all pupils, of all ages and abilities, acting as consultants on the so-called Making Learning Better (MLB) programme. "It is fun getting to do what the teachers do," says Duha Abdulghaffar, 13, a maths consultant. "When we helped appoint a teacher we looked for someone who was strict but fair. We watched them teach a lesson. Some of them were too strict and old-fashioned, and some of them couldn't control the class properly." Not all teachers were comfortable with the shake-up and some left. "They didn't say it was because of MLB," says Matthew Savage, "but it might as well have been." Other teachers, according to Helen Jeffery, were worried that it sounded "a bit American". But now all accept it, even though it means they have to teach under the gimlet eyes of student observers. MLB consultants are appointed - by teachers - for each subject, in each year group, with lead consultants who attend meetings. They are introduced to aspects of teaching and learning, such as the idea that people learn in different ways, and how teachers are supposed to try and cater for all different ability levels of pupils. They observe lessons in mixed-age pairs, checking off a list of a dozen points. They list three strengths of the lesson and three areas for improvement. Observations take place in each department every couple of weeks, and each half-term some aspect of classroom life, such as wall displays, or seating arrangements, comes under the spotlight. The young observers have proved stern critics. When interviewing and watching the trial lessons of teachers applying for jobs, they told Helen Jeffery that "they were not prepared to let one of them through to the afternoon" and that, of one group of candidates, "nobody was good enough to work at the school". New teacher David Hogg remembers that he went away after his interview "thinking I had been properly grilled". Helen Jeffery says some of her fellow heads throw up their hands in horror when they hear how much power she is putting into pupils' hands, but her students have gone on visits to other schools, attended and contributed to in-service teacher-training days, and attended a curriculum leadership meeting on ability grouping and mixed-ability classes. "In meetings," says Matthew Savage, "they are a lot better behaved than the teachers." The scheme is having an impact on the school. Pupils have encouraged teachers to make lessons livelier, more varied and clearer. They have discussed which seating arrangements work best, put forward ideas about English texts and come up with novel ideas, such as using a system of numbers, colours and letters to help teachers assign seats quickly. Relationships between teachers and pupils appear to benefiting. Ofsted inspectors were so impressed with the MLB programme that they called it "an outstanding feature" of the improving school. Now the school is watching to see how well its new optional homework policy will work. "The idea is they take ownership of their work. It is so easy for young people to feel disempowered and disaffected," says Matthew Savage. Equally, much teacher time can be lost trying to chase up homework that hasn't been completed, and probably never will be. Under the new regime, teachers pledge to teach pupils everything they need to know for an exam in class and then offer extra pieces of work that students can take home if they want to extend their learning. At first quite a lot of pupils took the freedom to say no, "but as they see other students being praised and rewarded for doing them you can see them starting to think, 'Oh, I could do that'," Savage explains. It is impressive to see how calmly and confidently pupils wear their powers. Mariyam Khan, 15, a lead consultant for science, says, "I used to jump in about things I thought were being done wrong. Now if you have opinions there's a proper way you can be listened to." Consultants, she says, wear badges, everyone knows who they are, and a lot of people want to be them. The school remains near the bottom of the Waltham Forest education authority's league table for GCSE results, but results are improving fast - last year it was among the top 100 schools in the country for percentage improvement, having gone from from 20 per cent of pupils getting five good GCSEs in 2002 to 43 per cent in 2004. It also boasts a palpably happy and purposeful atmosphere. "There's something about the school that's special," says Savage. "I think the fact that students know they are listened to makes it special. Almost everyone has been won over by the professionalism and sensibleness of the students. But we must be careful not to work the poor kids too hard. They aren't paid, after all." The hardest thing about running the scheme is keeping 120 consultants informed, circulating information, and getting people to turn up to early morning meetings. Any school embarking on such a programme needs to take it slowly, says Savage, and be sure to have someone like him willing to devote a lot of time to it. Meanwhile, the school wants to turn the student council into a parliament and eventually have fully-fledged student governors. After years of gains, state's school figure for nonnative speakers stays at 47%, and few of those are reclassified for higher-level work. English proficiency remained stagnant among nonnative students in California last year, and most who did achieve fluency weren't given more challenging course work to prepare them for college, according to a state study released Wednesday. "We clearly need to look at why this gap is occurring and determine how to address it," said state Supt. of Public Instruction Jack O'Connell. It's not enough to have English learners master the language, he said. "They also must … have full access to the school curriculum to be successful." California has the largest number of nonnative students in the nation. Last year, 47% of the state's 1.3 million English learners reached "advanced" or "early advanced" proficiency on the California English Language Development Test, the same percentage as in 2004. Until now, students statewide had shown substantial annual gains in English fluency, which was first assessed at 25% in 2001. O'Connell cautioned against comparing years, noting that fully fluent students are moved out of English-learner programs and no longer tested, while newcomers with fewer English skills enter the system. "Each year, the population can change dramatically," he said. Santa Ana Unified School District Supt. Al Mijares noted that his district had seen about 5,000 new students — mostly immigrants — with limited English skills since July 1. "When a student enters school with a language other than English, that is a huge challenge," he said. "We'll see scores go up, but I don't think it's going to get to the point that you've dealt with the problem, because that spigot is still on." But the lack of progress prompted some critics to conclude that the state's method of teaching English was flawed. "We need materials, we need professional development and we need assessment programs that look at English learners as a core part of the population," said Shelly Spiegel-Coleman, president of Long Beach-based Californians Together, a coalition of education and civil rights groups that favor instruction in a student's primary language. Students in the state's largest school district, Los Angeles Unified, nearly mirrored the state figures, remaining at 49% fluency. In previous years, the district had made substantial gains, starting at 16% in 2001. Rowena Lagrosa, the district's executive officer of educational services, could not explain the lack of improvement. But recently created programs should improve the district's numbers next year, she said. Meanwhile, the percentage of California students who attain fluency and are "reclassified" and allowed to take higher level classes edged up slightly to 9% in 2005. English proficiency is one of four factors that determine whether a student is reclassified, but educators said the gap between the number of students achieving fluency and the number being transferred out of English-learner status highlighted a problem. "We can do better," O'Connell said, adding that he would urge school districts to review their reclassifying procedures and academic support programs. School officials say some of the gap may be caused by teachers who are reluctant to reclassify fluent children, fearing the students will no longer get supplemental English instruction and fall behind. "Whenever you have a special group of students needing extra help, there are those who think a longer time for that help is really important," said Assistant Supt. Lynn Winters of Long Beach Unified, which had a reclassification rate double the state average. But "the bottom line is if a student is redesignated, there's a follow-up plan, a monitoring plan for every student." The percentage of English-learners in public schools scoring at early advanced or advanced English proficiency levels remained the same in 2005 at 47%, according to the state Department of Education. However, only 9% of those were redesignated as fluent and allowed to take advanced curriculum. ALBANY, N.Y. February 13, 2006 - A coalition of parents, educators and other organizations representing millions of New Yorkers today blasted Governor Pataki for flouting the court's order in the Campaign for Fiscal Equity lawsuit by introducing a voucher proposal. At a news conference commemorating the one-year anniversary of Supreme Court Judge Leland DeGrasse's ruling ordering the state to adopt the funding plan developed by a panel of special masters, the coalition said the governor's plan to implement a $400 million voucher scheme "is a callous and reckless slap at the state's neediest students." "How long does the governor expect children to wait?" said Educational Conference Board Chair Edward McCormick. "It's bad enough that he's ignored the court's decision. But it's the height of hypocrisy to break out a shell game voucher plan that only gives false hope and bogus promises to parents who want a greater investment in public education for their children. And, diverting money from public education for vouchers will drive up local property taxes for suburban homeowners who won't benefit from this." NYSUT President Richard C. Iannuzzi said the governor's voucher proposal - and his shortsighted proposed education budget - is blatant evidence of the governor's continued disregard for the state's constitution, courts and public school students. "This shows contempt for New York's courts and New York's kids," Iannuzzi said. "One year ago, the courts ordered the state to implement a solution, but the governor seems to think he's above the law. His 'education tax credit' is nothing more than a Trojan horse of back-door vouchers that would drain $400 million from our students' right to a sound basic education. The governor's entire education budget sends a very clear message: He just doesn't care about New York's public school students." The coalition includes the New York State Parent Teachers Association; Campaign for Fiscal Equity; New York State United Teachers; Civil Service Employees Association; New York State League of Women Voters; New York State School Boards Association; NYS Council of School Superintendents; New York State Association of School Business Officers; National Education Association/NY; Fiscal Policy Institute; School Administrators Association of NYS; Citizen Action of New York and the Alliance for Quality Education. "The governor is taking a $3 billion surplus that could fully fund the court-ordered CFE remedy for this year and is proposing to spend it on a misguided priority of tax cuts. The delay is unconscionable," said CFE Board Chairman Luis Miranda. "Everyone can see that the compliance money is sitting there ready to go, and he's just walking away. His so-called tax credit proposal is nothing more than a diversion from adequately funding our children's education." for students who have been shortchanged by the state's school aid formula. "The legislators who are pushing this voucher plan should be asked one question: If they have to make a choice, would they spend this money on private school vouchers or on CFE?" said Michael Davoli, statewide campaign associate for AQE. The governor's proposed tax giveback, in practice, would favor those with resources, provide no accountability for how tax dollars are spent, and would be daunting to access for the state's poorest families, analysts said. Students in underperforming schools are already guaranteed free tutoring under the No Child Left Behind Act, for example, so the primary beneficiaries of the plan would be families with the resources to pay full tuition for private or religious schools. "What's missing from the governor's plan is both financial accountability and accountability for results," said Timothy G. Kremer, executive director of the New York State School Boards Association. "Who will provide oversight? We are much better off investing our taxpayers' hard-earned money in a system in which certified teachers teach students, and oversight is provided by elected school boards, the State Education Department, and the state Board of Regents. It's a $400 million gift from the taxpayers of New York state to families who don't need it." Added Robin Rapaport, president of the NEA-NY, "The governor is playing a shameful political shell game. By ignoring his legal obligation to implement the court's order, he's also ignoring the needs of millions of public school students across the state. The governor should stop playing games and use the surplus to fully fund public schools." "The governor's proposal for a tax credit for residents only makes a bad situation worse," said CSEA President Danny Donohue. "The responsible approach would be to focus on helping schools improve rather than undermining them further by draining resources and eroding public support." Public schools still have too many unmet needs to waste $400 million on a voucher plan, according to CSEA President Danny Donohue. "The public schools need more capacity, not less, to educate all students to high standards," DeWald said, "The NYS PTA believes that every child deserves equal access to the same outcome, that is, an excellent education. That means using our government's resources to close gaps, not create them; to raise student achievement for all and not just for some; and to prepare students for a democratic society for which public schools remain the best forum." The governor's school aid plan will also have a negative impact on school property taxpayers across the state, according to Thomas Rogers, executive director of the New York State Council of School Superintendents. "This is $400 million that would provide little help to the neediest families, that would not be available for property tax relief, that would not be spent with the accountability demanded of public schools, and that would not be used to keep the promise of a sound basic education for every child," Rogers said. "This money could instead be used to triple the number of children in pre-K programs, provide an inflation adjustment to STAR benefits, hire more teaching assistants for students struggling to reach state standards or close the spending gap between high need districts and their better-off peers. An education tax credit is not what New York needs." George Perry, executive director of the New York State Association of School Business Officials, also criticized the governor's voucher plan: "The governor's proposal to provide tax rebates to parents of underperforming schools fails to address the fundamental problems of the current school financing system of New York's pubic schools. It has been a year since Judge DeGrasse reaffirmed the Court of Appeals decision. Our children are better served if the state uses its resources to properly fund public education rather than diluting the educational system with a voucher system." Republican primaries two years ago and four years ago. do it," network president Kathy Miller said Monday. "Now he's moving to close the sale." seats in the Legislature this year. incumbents in the GOP primary. ago has failed to pass school voucher legislation. who will do what he wants next time," she said. BOSTON - President Bush's signature education policy has in some cases benefited white middle-class children over blacks and other minorities in poorer regions, a Harvard University study indicated today. Political compromises forged between some states and the federal government has allowed schools in some predominantly white districts to dodge penalties faced by regions with larger ethnic minority populations, the study said. Bush's 2001 No Child Left Behind Act was meant to introduce national standards to an education system where only two-thirds of teenagers graduate from high school, a proportion that slides to 50 percent for black Americans and Hispanics. But instead of uniform standards, the policy has allowed various states to negotiate treaties and bargains to reduce the number of schools and districts identified as failing, said the study by Harvard University's Civil Rights Project. "There's a very uneven effect. There are no clear uniform standards that are governing No Child Left Behind. If one state gets one thing, another state can do something else," said the study's author, Gail Sunderman. Under No Child Left Behind, children in every racial and demographic group in every school must improve their scores on standardized tests in math and English each year. Failure to achieve annual progress can lead to sanctions against schools. Children in poorly performing schools can switch schools if space is available. In extreme cases, schools can be closed. But a surge in the number of schools identified as "needing improvement," including many considered top performers in their state, has stirred opposition to the law nationwide — from a challenge in Connecticut to a rebellion by state legislators in staunchly Republican Utah. The 60-page study examines letters sent by the Department of Education to all 50 states on how each state can administer the law and on their accountability plans. Nearly every state has taken some action to amend the law or been granted waivers to provisions in No Child Left Behind, the study said. "The problem with this approach is that it does not affect all schools equally," Sunderman said. "No two states are now subject to the same requirements." In one example the study cites, states in rural Midwestern regions were granted extensions to deadlines to meet requirements on teacher qualifications that were unavailable to poorer rural regions with greater numbers of black Americans and ethnic minorities in southeast and southwest states. "The policy is essentially a product of negotiation, of power and discretion, not law," said Gary Orfield, director of Harvard's Civil Rights Project. Education Secretary Margaret Spellings has said the law works, citing data showing reading scores for 9-year-olds up more over the last five years than between 1971 and 1999. AUSTIN — Bilingual programs do a better job preparing students for academic success than do English-immersion programs, educators from Houston and around the state said today. More than 20 proponents of bilingual education vigorously defended the programs before the State Board of Education, which had invited two speakers to discuss English immersion programs. Noelia Garza, director of multilingual programs for HISD, said the district has 39,000 students in bilingual classes and 17,000 in English as a Second Language programs. She said the district tried English immersion in the 1980s but had "very negative results with excessive failures, lots of retentions and excessive special education referrals." Bilingual programs were restructured in the mid-1990s. Students in the programs often exceed district passing rates on state standardized tests, Garza said. "Our school board really thinks that the bilingual programs are working because they are helping the district's scores. The gap is being reversed," she said. Mary Urelius, curriculum director for the Oceanside, Calif., school district, said the district has had success with structured English immersion, which was mandated by California voters in 1998. Nearly one-third of the 20,000 students are English learners in the district, located north of San Diego. Urelius said students are taught nearly entirely in English, with their native language used only for clarification. She said teacher training and parental support have contributed to the program's success. In traditional bilingual classes, students are taught in their native languages while learning English. Supporters of this approach said it allows students to become literate in two languages. Don Soifer, vice president of the Lexington Institute, a public-policy think tank based in Arlington, Va., said California has seen steady, strong gains in English proficiency for the past three years despite uneven implementation of immersion programs. But he agreed that Texas students with limited English skills outperform their counterparts in other states with large populations of English language learners. Today, February 9th, a hearing on bilingual education was held at the Texas State Board of Education (SBOE). The basis for this hearing was Board Member Gail Lowe's interest in learning about a program involving Structured English immersion in California, according to a Lexington Institute paper titled 'Immersion Not Submersion: Converting English Learner Programs from Bilingual Education to Structured English Immersion.' This is a non-peer reviewed study and very weak [See for yourself, click here for a PDF file]. There was a full day of testimony. We were honored to have Professors Stephen Krashen from USC and Elena Izquierdo from UT, El Paso who followed the presenters brought by the SBOE to talk about structured English immersion. The first speaker was an associate superintendent from Oceanside and the second was from the Lexington Institute. Neither suggested very strongly that this approach to the exclusion of others should be used, but rather that it was important to provide an example of what presumably 'works'/'worked' in Oceanside as well as in another district near Merced, I believe. What's important here is that this should be interpreted in terms of what has worked in a context of austere denial and absence of bilingual education forged by California's anti-bilingual initiative, Prop. 227, passed in 1998. So it was curious to think that that which was forged under severely anemic conditions for addressing the diverse needs of English language learners as a response to policy (i.e., structured English immersion) should inform the basis for Texas education policy. Note: The SBOE cannot change the law, but it can send a signal to the legislature and the public, in general, the untruth that bilingual education is about jobs and special interest groups rather than the truth that bilingualism has always been the gem of the upper class in our society and that in Texas, it represents the outcome of literally decades in the struggle for educational equity (click here for a legislative history in Texas). Ok, it's been a long day so I’ll share another point I made (also in written testimony). I referred to the 'Texas Successful Schools Study: Quality Education for Limited English Proficient Students'--which demonstrates that Texas English Language Learners are outperforming other students who are 'submerged' in structured English immersion programs like those found in California [click here for a pdf file]. This study, published in 2000 as part of the Commissioner Mike Moses' Educational Research Initiative was conducted by the Texas Education Agency in cooperation with Texas and A & M University, Corpus Christi. With words like 'measured,' 'dispassionate,' and 'scholarly,' the Texas Successful Schools Study received high marks in READ Perspectives. Incidentally, this journal is a READ Institute publication that comes out of Linda Chavez' Center for Equal Educational Opportunity. I commented how this begs the question of why this credible research is submerged while a much lower quality and less comprehensive study is given the light of day (Correiro 2001 [pdf]). I thought, why wouldn't the SBOE or Texas Education Agency make use of results from a project that I understand cost at least $450,000.00 worth of taxpayer’s money and which is eminently more thorough and comprehensive than the Lexington Institute Study? There was no answer to this by state board members, but I thought it important to raise this point. Hi, all: Martha asked me to encourage as many people as possible to attend a critical meeting of the State Board of Education which will begin discussions on replacing the bilingual education program with structured immersion. The discussion will center around a document written by Kelly Torrance of the Lexington Institute. I'm attaching a copy, but you may also download the document at: www.lexingtoninstitute.org. Please pass this along to as many supporters as possible. meeting scheduled for 9:00 a.m. on February 9th. --The discussion on English immersion programs is Item 3 on the agenda. The discussion on English immersion programs is Item 3 on the agenda. --Time for an individual testimony may not exceed three minutes. copies of their written testimony. --Organizations are encouraged to register no more than two speakers. support of bilingual education to wear. AUSTIN - The State Board of Education will consider the controversial topic of English-immersion instruction as an alternative to the state's bilingual programs at its meeting next week. The board has invited a California school superintendent and a representative of a conservative East Coast think tank to speak Feb. 9, opening a debate that could extend to the Legislature. In traditional bilingual classes, students are taught in their native languages while they are learning English. In immersion programs, the students receive all or most of their instruction in English. Immersion advocates say the program takes advantage of the ability of young students' brains to readily absorb a new language. In some states, students have achieved proficiency more quickly through immersion, but other studies have found the programs don't live up to their billing. "We're not out to undo years and years of what we've done," said board member Gail Lowe, who initiated the presentation. "But it's incumbent on us to be informed about successful programs." The board has invited Don Soifer, vice president of the Lexington Institute of Arlington, Va. The public policy group believes in limited government and market-based solutions to public policy challenges. Also scheduled to speak is Kenneth Noonan, superintendent of the school district in Oceanside, Calif., about 30 miles north of San Diego. Noonan also is vice chairman of California's State Board of Education. In 1998, California voters passed a proposition that requires students who are not proficient in English to spend at least one year in a structured English-immersion classroom. Board Chairwoman Geraldine Miller, R-Dallas, said in a letter to Soifer that the board wants to learn about "ways we as state policymakers can encourage school districts within Texas to move into this model of successful instruction to enable non-English speakers to close the achievement gap more effectively." Miller said the board is inviting key legislative staffers to attend the session so they might become better-informed about immersion. Supporters of bilingual education from Texas and California also will address the board. Board member Joe Bernal, D-San Antonio, credits Texas bilingual programs for helping improve achievement of minority students when compared with similar students in other states. "We have developed a program with a lot of accountability," said Bernal. But House Speaker Tom Craddick said last month in a speech to the conservative Texas Public Policy Foundation that there needs to be more accountability to make sure students are progressing toward English proficiency. School districts that have 20 or more students in the same grade who are classified as having limited English skills are required by state law to offer bilingual education. Districts often have problems finding enough bilingual teachers for those students. Though districts get more money for bilingual students, educators say it isn't enough to help those students catch up. Those students are at high risk of dropping out. Soifer said bilingual programs segregate students and often put more emphasis on multicultural studies than on teaching students to read and write in English. Jeff MacSwan, an associate professor of language and literacy at Arizona State University, said Arizona's experience with English immersion has been dismal. He found that after a year of English immersion, 11 percent of students he studied had become proficient in the language. MacSwan said decisions about whether to put students in bilingual or immersion programs are best made at the district level with parental involvement. "Good conscientious educators can succeed in either model," MacSwan said. I Believed That Bilingual Education Was Best . . . Until The Kids Proved Me Wrong"
"So what?" you may think. Shouldn't second-graders be able to read at grade level? But Ivan, the son of Mexican immigrants, had come to school not quite two years earlier, able to speak and understand only Spanish. The book he was reading and my questions were all in English. For 30 years, I worked hard to promote bilingual education as the best way for children like Ivan to become academically successful. Two years ago, I campaigned against California's Proposition 227, the ballot measure to eliminate bilingual education, because I believed that it was going to harm Spanish-speaking students. I was certain that students would be confused in English-only instruction and would be lost in the shuffle. I now realize I was wrong. In June 1998, 61 percent of California voters approved 227, which requires that all students be taught "overwhelmingly" in English and that children who are not proficient in English be taught for at least one year in a structured English-immersion classroom before being assigned to a mainstream class. Two months later, we began the school year with all classes taught in English. I was nervous, certain that it was going to be a disaster. Since then, however, I've watched Ivan and other recent immigrant children in my district learn to speak and read English faster than I ever thought possible. As a result, I've become convinced that English immersion, not traditional bilingual education, is the path to academic success for children who arrive in our classrooms unable to learn in English. Even before 227, I had begun to question the effectiveness of traditional bilingual education, in which limited speakers of English are assigned to a class where they learn to speak, read and write in their home language first. In Oceanside, which is 35 miles north of San Diego, that language is Spanish. Until 1998, a student would remain in Spanish instruction for up to four years, even longer for some. Only after being designated fluent in English would a child's learning in English begin in earnest. 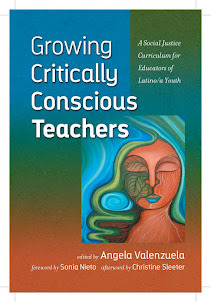 As a former bilingual teacher, administrator, and co-founder of the California Association of Bilingual Educators, I had come to believe that many students remained too long in classes conducted in Spanish, and that, as a result, they lost ground in the development of their English language skills. I believe that this creates a learning gap that is seldom closed. On my recommendation, the Oceanside School Board adopted a bilingual program reform that would have moved most students from Spanish to English within three years. But before we could implement that change, 227 was passed. At first, I resisted. I tried very way I could to find some way to preserve bilingual instruction. But I could not, I learned after consulting with the school district's lawyers. In the end, we had no choice but to implement 227 fully and immediately. Reluctantly, I made preparations. At the end of the first year, I was amazed by the results. State tests showed dramatic academic gains for Spanish-speaking students in reading and writing--especially in the early grades, where we had reduced class size to 20 or fewer students and implemented phonics reading instruction. Those changes seemed to have made a difference. But Proposition 227 has been the catalyst for the dramatic changes in student achievement. Without 227, we would have been teaching these students in Spanish; they would certainly have performed poorly on the state tests, which are administered in English. And we never would have seen how quickly and how early they could learn to read English. Consider this: Two years ago, limited-English second-graders in Oceanside scored at the 13th percentile on a scale of 100. This year, at the same grade, limited-English students scored at the 32nd percentile. A significant difference, I believe, is that these students had been taught only in English. Skeptics claim that Oceanside's scores are so low that they offer scant proof that English immersion works better than bilingual instruction. Oceanside, with 22,000 students in 24 schools, was the lowest- scoring school district in San Diego County for many years. But that is no longer true. The test results of Spanish-speaking students in other districts have risen as well, but at the primary level, no district has seen increases as dramatic as Oceanside's. For the first time, more than half of our schools are at or above the national average in some categories. In reading, our second grade limited-English students' test scores were almost 40 percentage points below the national average two years ago. Today, they are only 18 points from the national average. Critics say that 227 is unclear in its description of how students should be taught. Not so, in my opinion. Simply stated, it requires that all students be taught in English. Parents may request a waiver that would allow them to move their children to a bilingual program. As part of their request, they must list the educational or emotional problems that English immersion would cause their children. The waiver must be approved unless the school staff thinks that it would not be in the child's best interest. A child must spend at least one month in the immersion class before a waiver request can be considered. The district must form a bilingual class when there are 20 or more students with approved waivers at one grade level. sisters and I grew up using both languages interchangeably with our extended family. As a result, I deeply valued bilingualism. And I believed that bilingual education was the best way to achieve this, by preserving the child's native language while teaching him English. That's why I originally opposed 227 as misguided and drastic. But I was wrong on two counts. First, 227 did not cause the sky to fall in. The children, for the most part, are learning quickly and well. Second, I was wrong in believing that teaching limited- English students to read first in Spanish and later, sometimes much later, in English, would deliver on our promise of academic success. In fact, I have come to believe that transitioning limited-English students to English well after their peers puts those students at an academic disadvantage when it comes to choosing the most challenging courses in high school and college. Soon after Oceanside schools implemented English-immersion instruction, I was invited to speak with some Hispanic students at our local community college about the new approach. I was criticized and castigated by most of the students, all of whom were advocates of bilingual instruction. I explained my concern about the achievement gap that appears to develop between native English speakers and limited-English speakers who are taught to read, write and speak Spanish in school first. Two female students said little, but after the meeting adjourned they asked to speak with me privately. We found an empty classroom, and they began to question me about my "gap" theory. I made clear that this was merely my opinion and that little research had been done to support my belief. An awkward silence followed. Finally one, then the other, spoke. Each, they explained, had come to the United States as the children of Spanish-speaking immigrants, and they had been in bilingual classes in two different school districts (one in Oceanside). Both said they felt less proficient in English than their native English-speaking peers in high school and were struggling in college. They had enjoyed being taught in Spanish in public schools, but both now believed that they had paid a price for the comfort of early Spanish instruction. They asked me if English immersion would help other students like them. I confessed that I did not know. They apologized for the behavior of their classmates, and we said our goodbyes. That was two years ago. Now I am convinced that English immersion does work and that it should begin on a student's first day of school. Now I believe that English immersion may be able to reduce or eliminate that gap in achievement. Now I believe that using all of the resources of public education to move these students into the English-speaking mainstream early and quickly is far more important than my former romantic notions that preserving the child's home language should be theultimate goal of our schools. Susan Schaeffler turned a small program in an Anacostia church basement into the District's highest-achieving public middle school, but she is having trouble opening more schools with the same successful formula. It is a crucial moment for one of the most closely watched educational models, the Knowledge Is Power Program, a way of teaching fifth- through eighth-graders that has produced some of the best math and reading scores in low-income neighborhoods across the country. Despite its impressive record, administrators and policymakers are responding slowly to KIPP's desire for more space and support. State standards and standardized tests have become dominant forces in American public schooling. For most of its history, public education in the U.S. was a local matter, with local schools and school systems setting their own educational priorities. But in the wake of mounting evidence that the preparation most students received from public schools wouldn't suffice in a postindustrial economy, and with the conscience of the nation having been transformed by the civil rights movement, policymakers began to pursue a new paradigm, one that sought to establish statewide public school standards and hold local educators accountable if their students fell short of these standards. Standardized tests, used to measure student performance against the new state expectations, are the linchpin of this strategy of standards-based reform. "Margins of Error" reveals how factors such as the scale of standardized testing required by NCLB, competitive pressures in the testing industry, tight regulatory deadlines, a dearth of testing experts, and lax state oversight are resulting in tests that in many states undermine NCLB's pursuit of higher academic standards. The report provides recommendations for both state and federal policymakers to strengthen the nation's testing infrastructure. Waging a tireless campaign for Proposition 203, the 2000 ballot measure that curtailed bilingual education in Arizona, made Margaret Garcia Dugan one of the state’s most controversial figures. It also turned out to be a pretty good career move. Today, as the deputy superintendent of public instruction, she is the No. 2 person in the Arizona Department of Education, where she helps form state policy for English-language learners. Margaret Garcia Dugan, Arizona's deputy superintendent for public instruction, prepares for a recent meeting at the state Capitol. She oversees state policy for English-learners. Ms. Dugan, who was raised in a Spanish-speaking home in Bisbee, Ariz., acknowledges that not a single statewide education organization has supported her views on how to address the needs of the state’s 160,000 English-language learners. Yet, largely through pluck and persistence, she continues to play a major role in determining how the state educates immigrant children and the U.S.-born children of immigrants. Even Ms. Dugan’s critics say she is sincere about wanting the best for students who must learn to read and write English. But that doesn’t mean they’ll ever agree with her on how to get that done. It also dismays some education scholars that she doesn’t put more stock in research on the best practices for teaching English-language learners. Most research in the field favors bilingual methods, in which students are taught some subjects in their native language as they learn English, over English-only methods. At the same time, though, scholars have found it hard to discredit her views, given that Ms. Dugan learned English through English-only methods in a public kindergarten. To Ms. Dugan, it makes perfect sense that she’s a second-language learner of Mexican heritage who is opposed to bilingual education. She speaks English without any trace of an accent and says it has long been her dominant language. She still speaks Spanish sometimes with her mother, but doesn’t consider herself fluent. If English-only methods aren’t superior to bilingual education, “how come so many people in my age group learned English?” she asked during a Jan. 17 interview in her office in downtown Phoenix. At 55, Ms. Dugan is tall and thin and looks like the consummate professional on this sunny winter day in a chocolate-brown pantsuit. Ms. Dugan is married to her high school sweetheart, Michael Dugan, an accountant. They have one son, who is 25. In her spare time, Ms. Dugan helps alleviate the stress that comes with her job by practicing Chinese kickboxing, a form of martial arts. She trains for one hour, three times a week. The fighting spirit that she brings to public policy caught the attention of Tom Horne after he was elected Arizona’s superintendent of public instruction in 2003. Mr. Horne, a Republican, campaigned on a pledge to enforce Proposition 203 more strictly than did his predecessor, Democrat Jaime Molero. To help follow up on his promise, he hired Ms. Dugan and put her in charge of carrying out the law. While the law permitted some bilingual education to continue if parents requested waivers of English-only classrooms for their children, Mr. Horne and Ms. Dugan have since persuaded the Arizona state board of education to approve policies that tightened the criteria for those waivers. Ms. Dugan believes Proposition 203 has improved education for English-language learners. Arizona researchers who specialize on language acquisition disagree and point to analyses of test scores on state academic tests. Ms. Dugan says 15 hours is enough time to cover teaching strategies for English-language learners. Some academic experts in the state find it frustrating that Ms. Dugan doesn’t pay more attention to research. Ms. Dugan concedes that she dismisses national research that says bilingual education has an edge over English-only methods. “I think most of the studies are invalid. They start out with the theory before the research,” she said. She relies more on her experience as a former English teacher and high school principal, when she noticed that Spanish-speaking children from bilingual education programs weren’t learning English well by the time they reached high school. Hector Ayala, an English teacher at Cholla High School in Tucson, Ariz., was a leader with Ms. Dugan on the Proposition 203 campaign. Mr. Ayala admires Ms. Dugan’s courage. Bilingual education is not Ms. Dugan’s only battlefront. A federal judge ruled six years ago in the Flores v. Arizona court case that Arizona doesn’t spend enough on educating English-language learners. In a December ruling, the judge threatened to fine the state if it didn’t come up with a solution by Jan. 24. Last week, the state missed that deadline. Meanwhile, state officials were trying to work out their differences over legislative proposals. In a move that particularly irked Ms. Dugan, the judge also ruled the state couldn’t require English-language learners to pass a high school exit exam—part of Arizona’s Instrument to Measure Standards, the state testing system—to get a high school diploma until the state showed that programs for such students were working. The state filed motions on Jan. 17 appealing the court decision. Ms. Dugan included an affidavit challenging the decision to exclude English-language learners from the exit exam.